At the 2015 General Retreat, Pr. Glen Johnson, STS, Committee Co-Chair, described the details of this three-year drive to re-establish our Endowment Fund. Through the deans, he will also distribute copies of the brochure printed for this drive. Each member will receive two copies – one for their own use, one for use by others. In the presentation, Pr. Johnson sketched out the financial goals for the next three years. Year One will focus on gifts of $1,000,000 - $500,000. Year Two will focus on gifts of $100,000 - $50,000. Year Three will focus on gifts of $10,000 to $5,000. At the initial meeting last month, the Committee decided to use this format so it can communicate directly with the Society’s members. The intent is to send the communication out every month for three years. As you receive it, you may want to forward it to other Lutheran pastors as well as to present and former parishioners. This will aid significantly in raising the awareness of the drive. Those putting this format together are Prs. Minnich and Voges. 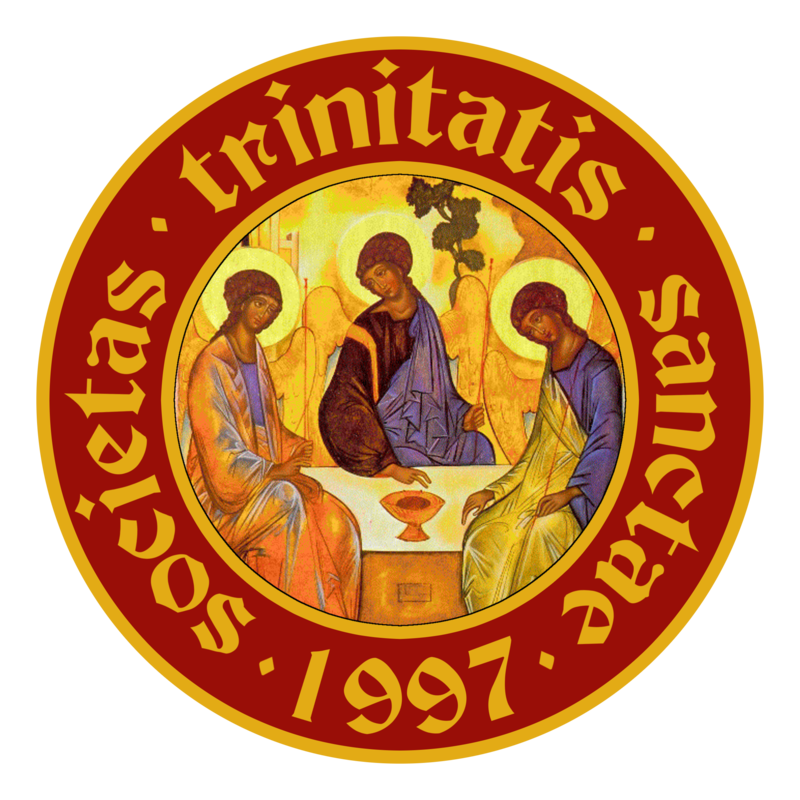 You may also want to go to the Society’s web-site - http://www.societyholytrinity.org. On the Annunciation of our Lord, 25 March 1995, there was a group of pastors from New Jersey who sent out a document, “9.5 Theses concerning the Confession of the Faith in the Evangelical Church in America.” In a covering letter with the document, Louis A. Smith, a founding member of the Society and its second Vicar, explained the process that triggered the Theses. Since 1993 the New Jersey (NJ) pastors who sent out the document had been meeting in scheduled retreats for prayer, theological study and conversation. Their concern was for the confessional and pastoral integrity in their own parishes. Their discipline was the “mutual conversation and consolation” in the Gospel that was so vital to Martin Luther. The retreats of these NJ pastors had been triggered by the 1992 NJ Synod Assembly (ELCA). A resolution had been presented about the public statement of the ELCA Conference of Bishops that Baptism must take place in the Name of the Father and of the Son and of the Holy Spirit. If the resolution had passed, it would have called on the bishops to “reconsider” and clarify their teaching, and to do so with the input of feminist theologians. At first glance the “reconsideration” request seemed innocent. But in the context it was clear that the request would mean at least revision if not repudiation. The clauses in the resolution and the supporting speeches recited the standard litany of patriarchy, sexism and sensitivity to women. This resolution was not adopted, but it was referred to a special task force appointed by the Bishop. This task force included four of the group who sent out the Theses. The task force dismissed the resolution as out of order, but the shape of the debate on the synod floor was disturbing. It indicated both widespread support for the resolution and equally widespread ignorance of “The Lutheran Confession of the Biblical Faith of the Catholic Church”… (to be continued). Why is a $4 million endowment needed? • $1 Million to enable the Society to support those pastors, active and retired, who are unable to provide all the resources needed to pay their membership dues along with participation in the General and Chapter retreats. These funds would also absorb the travel costs of the Society's officers for visits that include Chapter retreats and ordination anniversaries. • $1 Million to enable the Society to support and provide scholarships to seminary students who have committed themselves to serve the church's ministry in the Lutheran denominations in North America. • $2 Million to enable the Society to establish the Frank C. Senn, Amy C. Schifrin, and Frederick J. Schumacher Chair of Worship, Church Music, and Spiritual Discipline Studies. The persons occupying this Chair would teach in a variety of settings - seminary campuses, chapter retreat seminars and parish seminars. ”Love the Lord, all you who worship him; the Lord protects the faithful, but repays to the full those who act haughtily.